You’ve likely given dental extractions and wisdom tooth removal little thought. However, when pain from damaged teeth echoes throughout your jaw or if your wisdom teeth aren’t positioned correctly, the reality of dental extractions ushers its way to the forefront of your mind. The compassionate and professional team at Smile Gallery Dental Clinic can make tooth extractions simple for you. The notion of having an adult tooth pulled may seem like an unpleasant scenario. While tooth extractions are typically a last resort, the impact of this procedure is often worth the anxiety felt by many patients. Many patients postpone visiting our clinic as they’re afraid of the outcome. Even though this situation is common, the longer you wait to investigate the root cause of tooth pain, the more serious it can become. 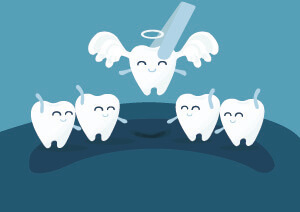 Advanced Tooth Decay | Typically, fillings or dental crowns are used to strengthen the tooth and prevent further decay. However, if decay damage is too extensive, dental extraction is often recommended. Impacted Teeth | Commonly known as crowding, occurs when there simply isn’t enough room to hold all your natural teeth. This is a strikingly common reason for extraction, especially when concerning wisdom teeth. To eliminate current or future pain, tooth extraction is often recommended. In some cases, you’ll have a tooth removed in preparation for orthodontic treatments, such as braces. Periodontal Disease | More commonly known as gum disease, this progressive condition is the result of unmanaged bacterial infections under your gums. Over time, the infection eats away at the jaw bone surrounding the infected tooth, which results in loose teeth. To expedite the healing of this harmful condition, an extraction is sometimes performed and the area is treated to kill off the bacterial infection. Infection Control | Should your immune system become compromised, such as if you’re going to chemotherapy, even the slightest infection can have disastrous results. To mediate this risk, it may be necessary to extract an infected tooth. Even if the infection is in its first stages, the risks associated with infections in immune system compromised persons is often too great to leave the tooth. Numbing the Area | Ask most patients what they were afraid of, and their answer would be the same, the pain. While tooth extractions in the 18th Century were surely horrific, the advancements in anaesthesia transformed this procedure into a painless process. Using a local anaesthetic, we numb the entire area surrounding the tooth. A potent general anaesthetic is often used if more than one tooth is being pulled or if teeth are impacted. Only when the area is numbed do we proceed to the next step. Extracting the Tooth | Once the area is sufficiently numb, the dentist uses forceps to firmly hold the tooth and then gently loosens it with a back-and-forth motion until it’s entirely removed. If you only had a local anaesthetic, you’ll feel pressure, but not pain, in your jaw during this process. Should the bulk of your tooth be under the gumline, a surgical extraction is needed. Using a scalpel, the dentist makes a small incision to reveal the entire tooth. Using the same movement as above, the dentist carefully wiggles the tooth till it’s removed. Post-Extraction Care | Within a short amount of time, the entire ordeal is over and you’re on your way to a life without tooth pain. As many of our patients have explained with great delight, the healing process for most tooth extractions is swift and relatively simple. At home, avoid smoking and alcohol until the extraction site has healed. Make sure to avoid disturbing the site during the healing process. After the anaesthetic wears off, you may feel discomfort in the extraction site, which is easily reduced with an over-the-counter painkiller. Never take an Aspirin after this procedure, as it thins your blood and may result in excessive bleeding. Commonly referred to as your third molars, wisdom teeth removal is among the most common causes for a dental extraction. As the last of your adult teeth, the wisdom teeth make their first appearance during late teenage years or at some point in your early twenties. Simply put, because there isn’t ample room to comfortably fit an additional row of teeth. While some have just enough room for their wisdom teeth to emerge comfortably, many more can’t accommodate these teeth. Typically, we see wisdom teeth growing sideways, which is not only painful, but can lead to serious complications, such as crowding, tooth decay and infections. Without this outpatient procedure, extreme pain and further dental issues are commonplace. Standard Extraction | When the tooth has fully come out of your gums, its removal is the same as a standard extraction process. Typically, no stitches are required. Surgical Extraction | If the tooth hasn’t emerged or is unable to due to impaction, the dentist makes a small incision and carefully moves the tooth. This process is relatively painless thanks to local anaesthetic. After the tooth is removed, the incision site is closed with stitches and you’re off to a swift and easy recovery. Living with tooth pain is not living at all. If you’re experiencing mild or severe pain, or if your wisdom teeth are starting to emerge, call (03) 8595 2632 and schedule an assessment with one of the most professional and experienced dentists in Box Hill!